Unable to depend on her father to heal the crumbling family, Judith is afraid to trust the mysterious neighbor, Ben, who lives with his own grief. In rural Maine in 1918, Judith Chadbourne gives up her teaching job after her mother’s death to help her father with her five siblings. But when her father sinks into deep depression and her brother Joel is drafted, the household chores and farm work may overwhelm her. Neighbor Ben Thayer offers to buy their farm, shocking Judith and angering her father. An outsider from New York, Ben seems rich and mysterious, but his heart aches from his own loss. Judith accidentally breaks the antique crystal Christmas ornament her mother loved. The splintering star echoes her family’s shattering. Ben’s efforts to help make Judith suspicious, but when Joel falls critically ill at the army camp, Ben’s aid brings the beginnings of trust. After the armistice, the community and family start to recover from the strain of the war, but Judith learns independence is lonely. When Ben is injured, she is the only one who can help him. Can love take her beyond the frozen Maine winter? Susan Page Davis, I love the books you write about Maine. I am always waiting for the next book. Hope you are enjoying your summer. I enjoy reading books by Susan Page Davis. She is a. Excellent writer and has no problem keeping my attention. Love Susan Page Davis's books. Always excited to see a new one release! River Rest sounds like a wonderful story. Susan Page Davis is a talented writer who has a gift for bringing her characters to life. Susan, you are doing a fantastic job! All three books sounded intriguing, but I know I can depend on Susan Page Davis for a great read. That's why her book is #1 on my list. I've read many of Susan Page Davis' stories so I know I can trust her newest book to be outstanding. I am hoping and praying that everyone loves your book and buys alot of them! I love Susan Page Davis's books. They are so enjoyable!!!! I always enjoy Susan Davis's books - well-written, believable, hard to put down. River Rest is no exception. 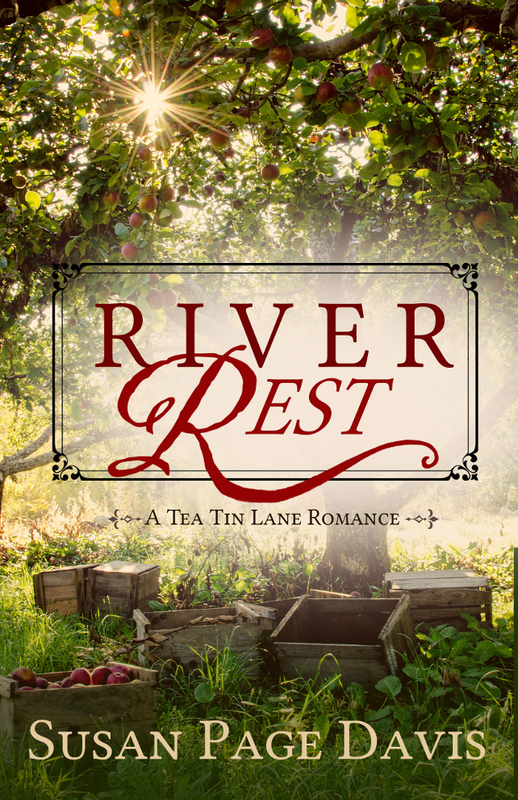 "River Rest" by Susan Page Davis is IN my TBR pile! I can't wait to get started on it!